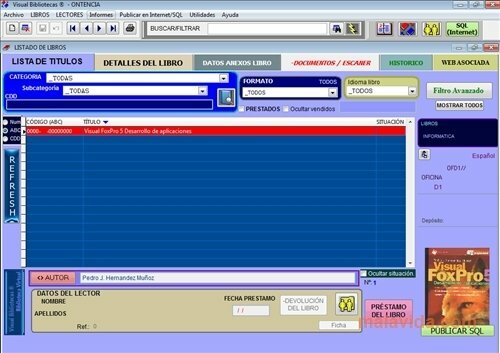 If you need library management software, with Visual Bibliotecas you'll be able to keep track of all the books and loans. 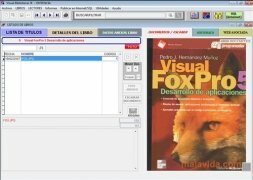 You'll be able to create a database of the books with the following information: author, publisher, ISBN, Legal Deposit and EAN13. You'll be able to order the books using any of the entries. You can also give each book a category and subcategory, and indicate the shelf where you can find it. 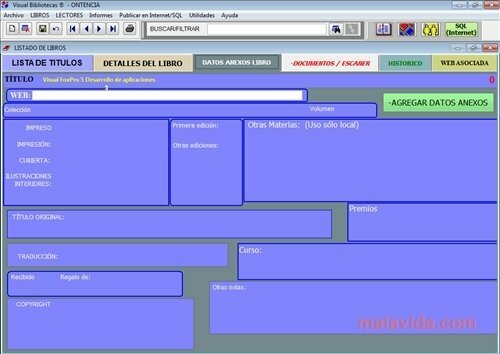 Furthermore, the program doesn't only keep track of the books, it also keeps track of the library's members, with all their details, and it even has the possibility to include a photograph. 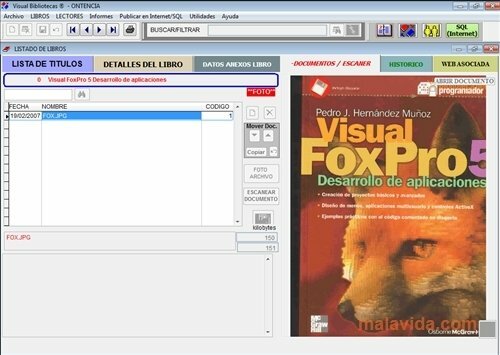 Visual Bibliotecas works on local networks, allowing two types of users: Read Only and Read and Write. 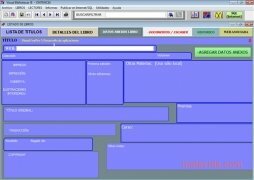 The program also allows library managers to publish a list of available books on the Internet or remote SQL databases. 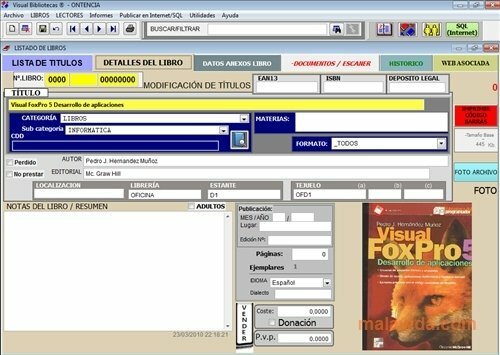 In the case it's necessary, Visual Bibliotecas includes scanning software to scan a document to PDF or JPG format. Clearly the best public or private library management software, with all the possible features you might need. The trial version can be used for 30 days or used 77 times. Requires an Internet connection to update to the latest version.